Over the past several months, J.R. “Rusty” Norman has become used to crowds and a large media presence at school board meetings. But with classes back in session and a routine business agenda on tap, he thought the board might catch a break at its second meeting of the new school year. Just how different things are was on full display on this mid-September evening, four months after a 17-year-old gunman killed 10 people and wounded 13 at Santa Fe High School. The boardroom was packed with parents, most of them family members and close friends of the dead and injured. Cameras from TV stations in Houston captured the pain, emotions, and finger-pointing as audience members paid tribute to the victims and chastised the district for its handling of a recent text message threat at the high school. Helping students and staff deal with trauma and grief, whether it is caused by a single event or a series of less dramatic incidents that build up over time, is critical for school districts because of the potential long-term impact on teaching and learning. 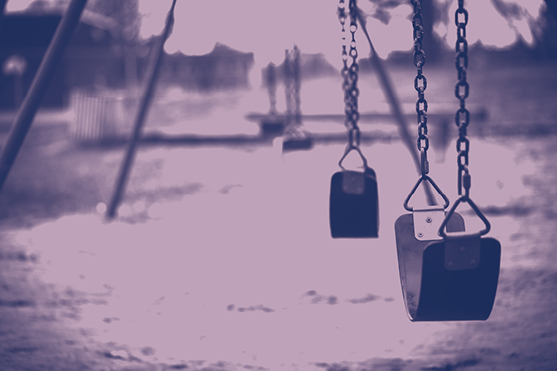 Studies have shown that children and adults exposed to repetitive trauma are at risk for a variety of physical and mental health issues, including anxiety, depression, high blood pressure, and a propensity for substance abuse. And this process is doubly complicated in Santa Fe, which also saw 1,000 families affected by Hurricane Harvey in August 2017. No district can be fully prepared for a large-scale traumatic event, let alone two in a single school year. Understanding the effects of trauma and grief on students and staff has drawn increased attention from researchers over the past two decades. But, in schools, moving from attention to action has been a tougher slog, partly because of a widespread reluctance to address mental health issues and partly due to the day-to-day nature of running complex operations that offer few opportunities for long-term planning. Sudden tragedy brings the realization that no one is immune, and often leaves the community feeling unmoored and disconnected, says David Schonfeld, director of the National Center for Crisis and Bereavement, based at the University of Southern California. Those tasked with rebuilding become fair game. The afternoon after the board meeting, a group of Santa Fe officials led by Wall and Norman gathered in a conference room. They already had met with area press that day to discuss what had occurred the previous evening and were preparing for staff training the next day with administrators. Everyone looked exhausted. Like many rural communities, Santa Fe prides itself on its small-town feel and independence. Most residents go out of town to work, either in the nearby petrochemical plants or at one of the two major hospitals that serve the region. Most extracurricular activities revolve around schools and churches. Hunting is popular in the spring and fall. Even though some Santa Fe students participated in walkouts following the Parkland shootings earlier this year, conversations about gun control are non-starters for most residents here. The fights, he concedes, are on other fronts. Since May, the district has spent more than $1 million to “harden” its schools, adding a threat assessment team and five more full-time police officers. All students and staff must wear identification badges while on campus. Classrooms now have panic buttons, and school entrances have metal detectors. Thanks to a state grant, the district has added three licensed professional mental health counselors and a family and marriage counselor at the high school to help students and employees work through post-traumatic stress issues. These are in addition to the school counselors already on staff. Carol Gaylord knows more than she cares to about trauma and grief. Her father was murdered on Memorial Day weekend in 1983 in Santa Fe, an event that she describes as “the start of a journey to where I am today.” She has an adult son with autism and is close friends with the family of one of the shooting victims. A 35-year Santa Fe resident and chair of the youth ministry team at Aldersgate United Methodist Church, Gaylord retired as CEO of the Coastal Community Credit Union on May 11. Seven days later, she was at the Galveston County Courthouse seeking adult guardianship of her son when she heard about the shooting. “We started tracking down our youth to make sure everyone was safe, and the only one we had not heard from was Jared,” Gaylord says, referring to student Jared Black. “His mother Pam called because he didn’t get off the bus at the reunification center, and she was at the school waiting to hear word. I went over there until that evening when she heard that he had not survived. “It was probably the hardest day of my life. I can’t even imagine what she went through,” Gaylord says. By the end of May, the temporary site became what is now known as the Santa Fe Resiliency Center. Funded by a state grant and now a city department, it hired Gaylord as its director in July. Mental health counselors from the Gulf Coast Center are on site seven days a week, available from 10 a.m. to 7 p.m. to talk with those affected by the shootings and the hurricane. Volunteers help sort the myriad donations that have come in from across the country, and the center also is hosting social activities and training on dealing with trauma and grief. Kaplow, in a later interview, notes the number was taken from the Substance Abuse and Mental Health Administration website and does not necessarily apply to Santa Fe. She says everyone responds differently and in varying degrees to trauma and grief. Several miles from Santa Fe, in the former Mall of the Mainland, is the Gulf Coast Center, one of 39 such facilities across Texas. The center contracts with the state to provide mental health counseling and substance abuse services as well as assistance to residents with disabilities, individuals with HIV, and military veterans. Shuman says the relationship the district has developed with Tucker and other community partners such as Texas Children’s Hospital and the Office of Emergency Management has convinced her that schools do not pay enough attention to mental health in developing crisis response plans. Micere Keels, an associate professor at the University of Chicago who has developed a trauma-informed curriculum for urban teachers, says staff are often so concerned about their students that they suppress their own needs, which, if not addressed, can lead to large staff turnover in trauma-affected schools. More than a year after Hurricane Harvey and several months after the shooting, the phrase “Santa Fe Strong” remains omnipresent in the schools and throughout the community. But at times, the words seem as aspirational as they do real. “The action plans we have put in place are based on previous lessons learned from Columbine, from Sandy Hook, from Parkland, and those have provided us with a framework,” Wall says. “We are always looking for ways to improve, and everyone here is continuing to do the best we can. Glenn Cook (glenncook117@gmail.com), a contributing editor to American School Board Journal, is a freelance writer and photographer in Northern Virginia.